“I am not responsible for someone else to sell one of my listings and not disclose to their clients." A young couple was shocked to learn that the home they closed on Friday was the site of a grisly slaying by the infamous MS-13 gang. The unidentified homebuyers purchased the four-bedroom suburban ranch house at 6 Ray Court in Brentwood, Long Island for $320,000. 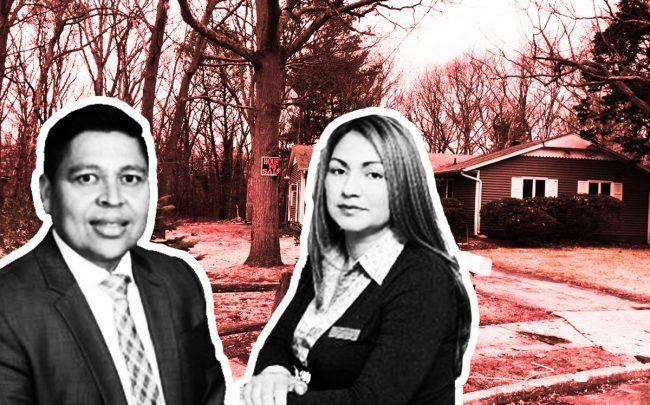 But the couple claims their broker never told them that the wooded area abutting the house is where two teenage girls where found slaughtered by MS-13, the New York Post reported. “The real estate agent said nothing [of the property’s past], obviously, because they wouldn’t have been able to sell,” one of the new homeowners told the newspaper. Oneyda Gallardo of Empire Home Realty of Long Island, which listed the property, said it was up to the buyers’ broker to inform them of the home’s past. The Brentwood home first hit the market in February asking $377,000, and saw its price cut seven times to $329,000 before coming off the market last month. To make matters worse, the mother of one of the murdered girls was killed outside the home a little more than a week ago over a dispute regarding a memorial to her daughter outside the home.